Provided here is a brief description of the various types of retreats offered at St. Aloysius. The retreat house hosts both 5 day and 3 day retreats, please refer to the calendar for the current listing of retreats available. This is the retreat to begin with if this is your first one. It will guide you to a greater knowledge of self and of God. It will impress upon you the realities of life and the four last ends. You will also be led to meditate more thoroughly on the scenes of Our Lord's life. Conferences and meditations centering on the Most Blessed Virgin Mary and how important she is to the development of the spiritual life. This retreat will give a greater knowledge of the virtues and how to put them into practice in everyday life. For married or engaged couples. This retreat will help to foster a greater union with God in the married state. 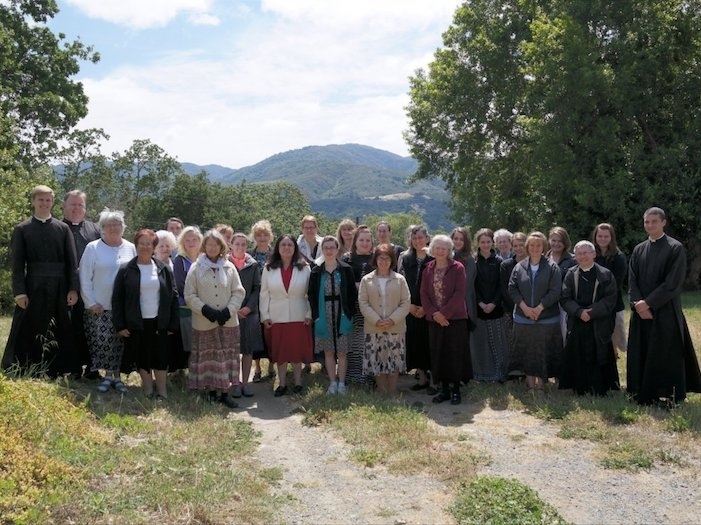 Retreats bring many people together to renew their faith. "Ignatius distinctly saw the Blessed Mother of God with the Holy Infant Jesus... he remained with such disgust for his whole past life... that it seemed to him as if all the impressions which had hitherto been imprinted on his soul were torn away".